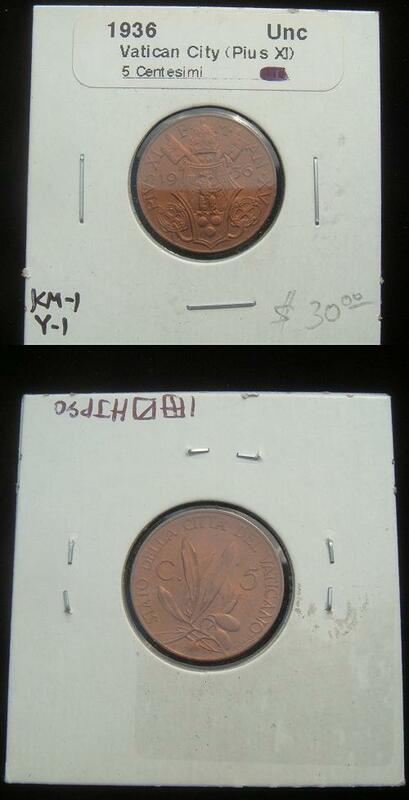 Vatican City 1936 5 Centesimi coin. Obverse: Coat of arms of Pope Pius XI surmounted by tiara, crossed keys behind; Reverse: Olive branch. Uncirculated condition. Designed by Aurelio Mistruzzi and engraved by Attilio Silvio Motti.